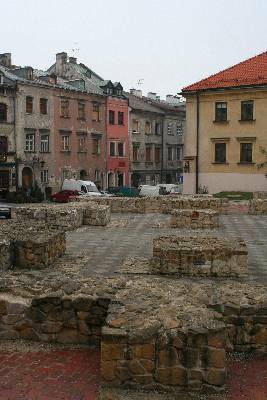 Articles with keyword "architecture of Lublin"
The Romanesque style was the first to manifest itself in the architecture of Lublin. 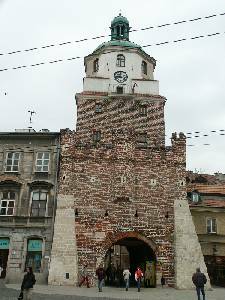 The donjon at the Lublin Castle is the sole example of Romanesque architecture in Lublin and in Poland east of the Vistula river The double window on the southern face of the donjon is a perfect example of that style. 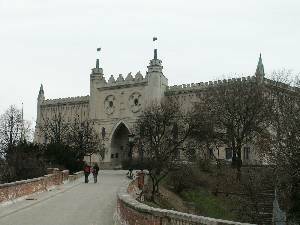 Every style that entered the Polish architecture can be found in the architecture of Lublin: Gothic, Renaissance, Baroque, Historicism, the so-called Neo-styles, Secession, Modernism. The Lublin Renaissance style, represented by a few buildings in the city, is the most characteristic architectural style that can be found in the area of Lublin and the Lublin region.